Everybody’s talking about being paperless these days including the IRS, especially about HVUT being the topic of this tax season. 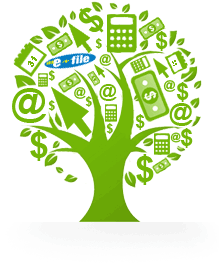 Let’s see why e-filing HVUT is advantageous. One goes green immediately, without wasting paper products of our less green earth. Ability for Filing tax returns like Form 2290 round the clock throughout the week from your desk at home makes life very comfortable. Due to advanced internet capabilities, the speed and safety of the entire HVUT return process is very high with e-filing over paper thus saving you money and energy that you might have to spend on postage/fax/courier/delivery charges. Using the help of a checklist, complete your Form 2290 return filing within 20 minutes of start safely with one among the few IRS Authorized software providers, us.